Back in the “old days” there were few choices when it came to selecting a doctor, lawyer, psychologist, dentist etc. Typically a town had one doctor to deliver local babies, perform necessary surgeries, diagnosis all kinds of maladies and treat whoever knocked on the door with a sundry of internal or external injuries. The same was true for lawyers; all barristers handled all cases in all courts. Other professions also lacked diversification; a psychologist treated all matters of the emotional heart as well as mental and behavioral maladies. However with progress, society was steadily bombarded with rapid advancements in technology as well as science. Knowledge which had once been general and applied comprehensively to like conditions became highly technical and utilized with great precision and specificity. The world witnessed exponential individuation in every known profession—a singularly-titled physician for every imaginable ailment; a particular practice of law for every legal issue actionable as well as branches of psychology dedicated to handling issues of the mind with ever increasing exactitude. For today’s professional aspirant, specializing in a particular field is almost not an option. A basic education is usually complemented with a brief academic encounter with the chosen specialty; only to be followed by another tier of instruction or practice in that particular field. Sometimes years of study and training are involved and many must intern in their area of expertise before establishing independent practices. - Jules M. Stites Ph.D. Which specialty is right for me? One way to determine which specialty is right for you is to take the age-old approach of who, what, when, where, and why. “Who?” asks the question; with whom would you like to work? Is it an age-related category such as the elderly or children? Or, is it a relationship-based group of persons such as married couples and families; or an occupationally-centered category? Knowing who you would enjoy encountering on a daily basis is paramount to determining your specialty. Maybe you don’t want to encounter anyone at all on a regular basis; you are only interested in dealing with colleagues. This aspect of employment is a vital distinction to make for it points you in the direction of a research-based category of practice. “What?” Answering this question explores the type of activity you will engage in for the lion’s share of your time. Do you want to do crisis intervention, school counseling, data gathering, teaching or research? Pinpointing what you imagine your duties consisting of in the future will help better define your specialty. “When?” Do you want to work 9-5 Monday-Friday only? Do you instead want to work nights or weekends? 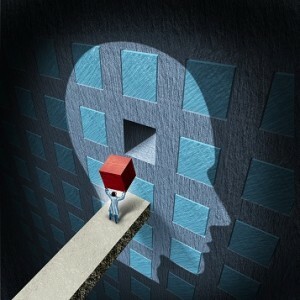 These types of concerns further assist in narrowing down the list of options available in psychology specialties. “Where?” At some point everyone has indulged their imaginations by picturing themselves at work doing their dream job. Where do you see yourself? Is it a hospital? Or is it a school? Do you work for the government or do you have a cozy private practice on a tree-lined neighborhood? The types of specialties that are available generally have an environmental definition. In other words, knowing the environment in which you would flourish further dictates a specialty. “How?” Specialties vary in the amount of preparation necessary to actually do the work. How long are you willing to study? Time is an investment and needs to be factored into any decision. How much money do you plan on spending on the way to licensure? See licensure by state: psychologist, counselor, social worker, therapist. Financial aspects characterize each specialty in a unique way and considering this factor is essential to knowing if your commitment corresponds with that required by each specialty. - Mary Margaret Simmons M.A. No one knows you better than you know yourself. When deciding which specialty will enhance your professional career, take time to dream. Think of your life in terms of your own psychological well-being. You deserve it. Your future depends on it. 10 Must Take Psychology Professors in Washington, D.C.